Which is the port of Santorini? Santorini has two ports, but only one operates for passenger ferries. The name of Santorini’s Port is Athinios port. Athinios port is also referred as the "new port" by locals. That’s because there is one more small port in the island located in Fira; this is the old port of Santorini. To avoid any misunderstandings if you are reaching Santorini by ferry you are seeking information about Athinios Port. What is the name of Santorini Port? Here is the answer to the common question "which port in Santorini will I be arriving at or departing from". Unlike Mykonos, Santorini (or Thira) has one port that serves passenger ferries and the name of the port is Athinios. The port of Athinios is located in the southeast side of the island and it is one of the most crowded. 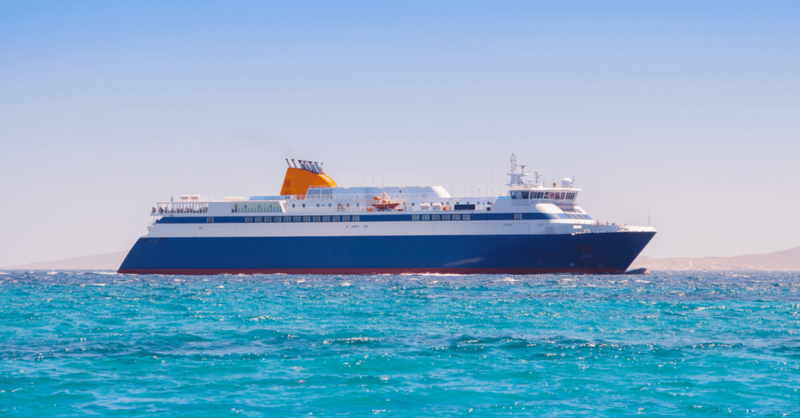 There are numerous ferries departing from and arriving at the port of Santorini every day, especially during high season and all these passenger ferries and cruise ships dock in Athinios Port. Should I book my ferry tickets from Santorini port in advance? You should book in advance your ferry tickets for your trips from Santorini port! The main reason is because these tickets sell out very fast and they won’t be available to buy on the spot. The second reason is again because of the traffic at the port of Santorini; travel agencies there are almost always full of people trying to buy last minute tickets. How early should I be at Santorini Port to catch my ferry? Santorini’s port is one of the most crowded, especially during high season. For this reason, you are encouraged to be at Athinios port at least one hour prior to the departure of your ferry. There are two mini markets and some coffee shops at the port, so you can grab a bite, by admiring the view, while waiting for your ferry. When you arrive at the port, go directly to the ticket collection point indicated from ferryhopper at the conformational e-mail and get your tickets. Don’t leave that for the last minute, since the collection point is always crowded, before departures. Of course, in case you are travelling with a ferry operator supporting e-ticket services you just have to prepare your QR code at your mobile screen! In case you are travelling with a vehicle you should be extra careful and be on time for the departure of your ferry. 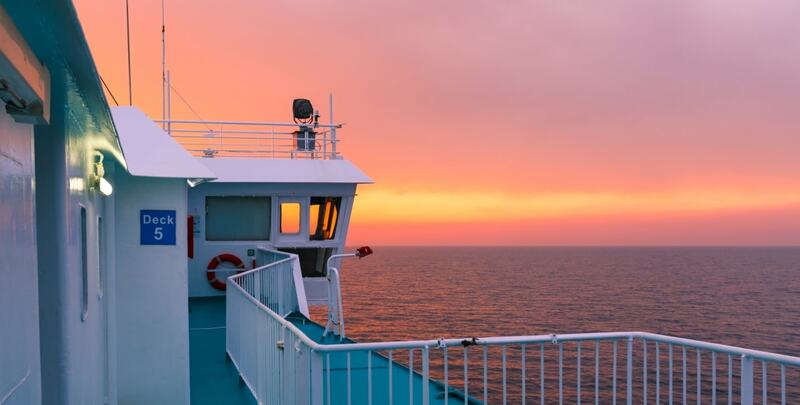 As we always support in such ferry occasions: better to be safe than sorry! The main way to get to Santorini port is… by ferry! Check Ferryhopper.com and book the cheapest ferry tickets from any Greek port to Athinios port. However, we still must answer the question of how to get to Santorini port if you are already in the island. When referring to Santorini’s town we mean Fira. Athinios port is connected with Fira with frequent bus itineraries. The schedule of the buses is compatible with the departures and the arrivals of ferries at the port of Santorini. You can check bus itineraries at Fira main square and you can buy tickets directly from the driver. The tickets are normally cheap (less than 3 euros) and the bus network covers the main parts of the island. Once more, be sure to arrive at the bus station at least 15 minutes before departure time, because -what a surprise- Santorini is very crowded during summer. If you want to avoid crowds and create your own schedule you should consider using taxi. However, if you don’t want to spend a fortune on your transportation, but you want to be autonomous and explore the whole island you may want to travel with your vehicle. Check all different ticket prices for different kind of vehicles and different ferry operators at Ferryhopper.com.